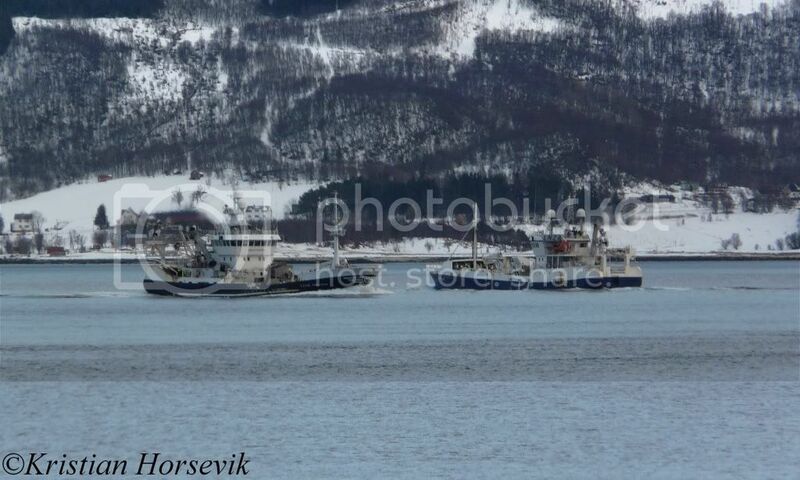 "Olagutt" with 195 tons of capelin and "Vestfart" with 410 tons of capelin heading south to Lødingen this morning. Ohhhhh, how about Vestfart for a curve! Wonderful photos! There it is....wait...no...damnit, where did it go now? oh, there! 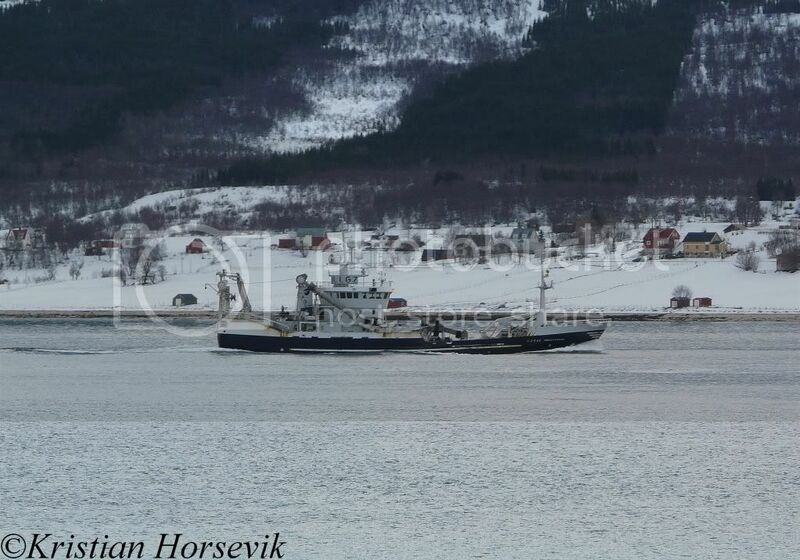 "Manon" inbound to Tromsø harbour this afternoon. 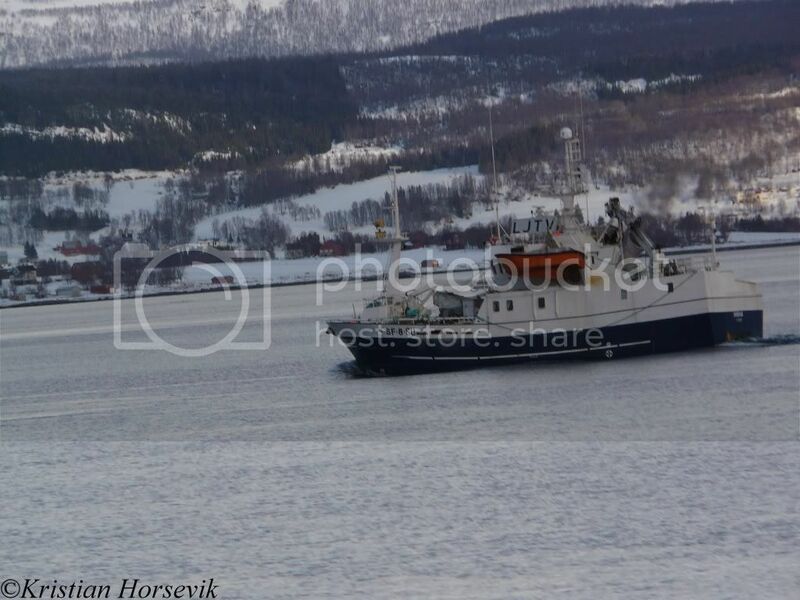 "Polynya Viking" outbound from Tromsø. 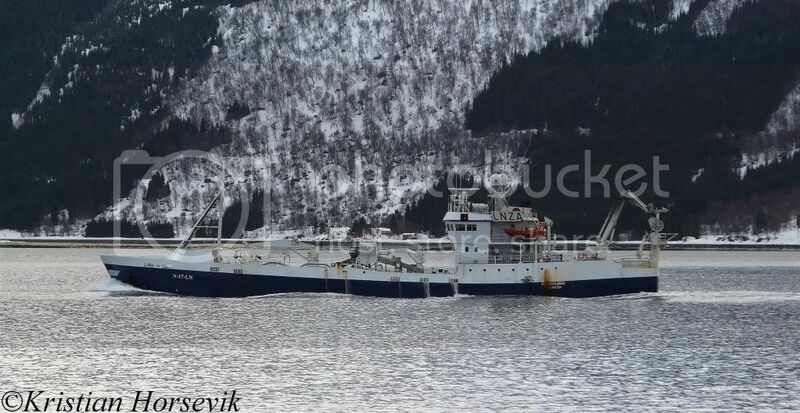 No fishing registration to be seen on this one, although she appears to be set up for Seining and registered in Tromso. Any explanation??? What are they doing here??? Too close to the fish farm to be catching herring, isn't it?? 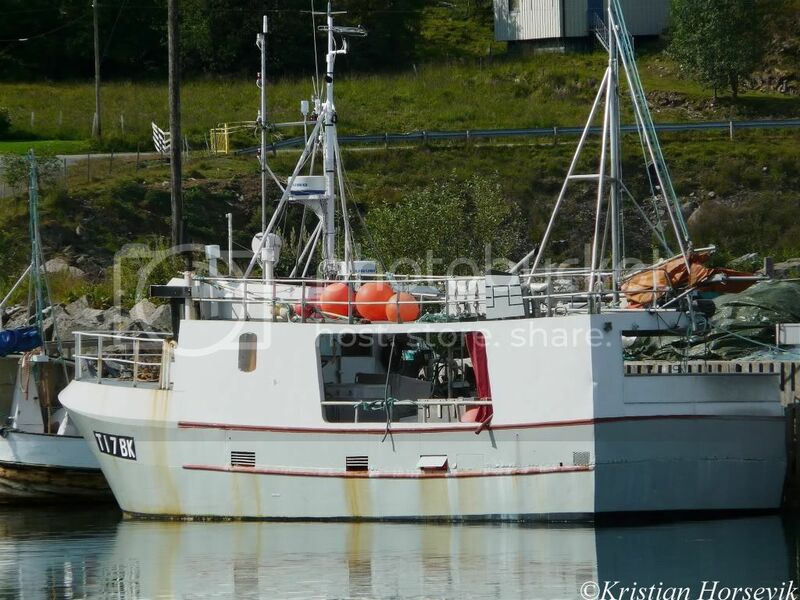 Here Photos of the Fishing Boats LE 62, UK - 64, UK 246. Last edited by Germen; April 20th, 2011, 11:27. 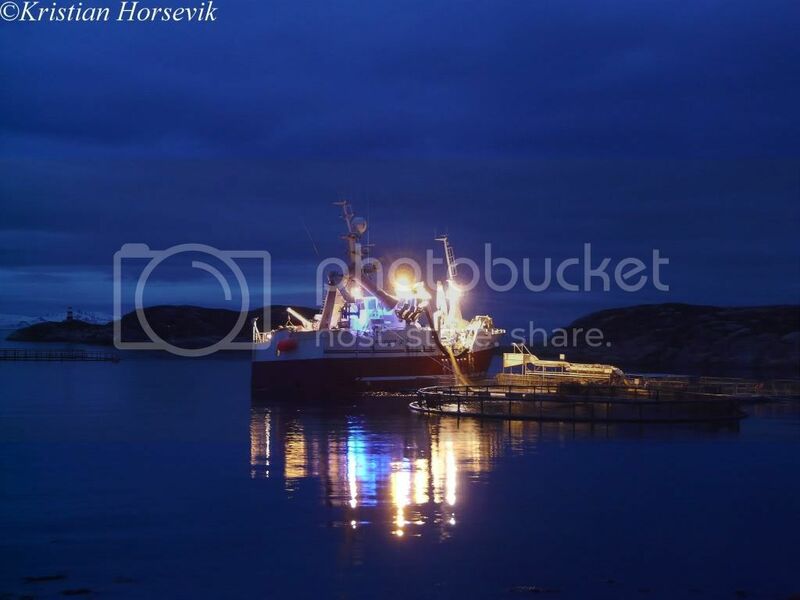 They were delivering cod, and since the fish processing facility was closed for the day, they had to offload into the fish farm.